Yoqneam, Israel, February 23, 2017 MIND C.T.I. LTD. – (NasdaqGM: MNDO), a leading provider of convergent end-to-end prepaid/postpaid billing and customer care product based solutions for service providers as well as unified communications analytics and call accounting solutions for enterprises, today announced results for the fourth quarter and year ended December 31, 2016. The following will summarize our business in the fourth quarter of 2016 and provide a more detailed review of the financial results for the quarter and for the full year. The financial results can be found in the Investor Information section of our website at https://www.mindcti.com/investor-information/ and in our Form 6-K. Revenues of $4.7 million, compared to $4.8 million in the fourth quarter of 2015..
Operating income was $1.8 million (including a one-time decrease in provisions), compared to $1.4 million in the fourth quarter of 2015. Net income of $0.9 million or $0.05 per share, compared to $1.1 million or $0.06 per share in the fourth quarter of 2015. Cash flow from operating activities was $0.9 million, compared to $1.7 million in the fourth quarter of 2015. Multiple follow-on orders and one extension of a managed services contract. Revenues of $18.1 million, down 13% from $20.9 million in 2015. Operating income was $5.2 million, or 28.8% of revenue, compared to $6.4 million, or 30.6% of revenue, in 2015. Net income of $4.2 million, or $0.22 per share, compared to $5.0 million or $0.26 per share in 2015. Cash flow from operating activities was $5.2 million, compared to $6.3 million in 2015. Cash position of approximately $19.8 million as of December 31, 2016. As of December 31, 2016 we had 262 employees, compared to 337 as of December 31, 2015. Revenues in the Americas represented 63.6%, revenues in Europe represented 22.3% and revenues in Israel represented 5.4% of our total revenues. Revenues from our customer care and billing software totaled $3.6 million, or 77% of total revenues, while revenues from our enterprise call accounting software were $1.1 million, or 23% of total revenues. Revenues from licenses were $0.7 million, or 16% of total revenues, while revenues from maintenance and additional services were $4.0 million, or 84% of total revenues. Revenues in the Americas represented 70.4%, revenues in Europe represented 18.5% and revenues in Israel represented 4.9% of our total revenues. Revenues from our customer care and billing software totaled $14.6 million, or 81% of total revenues, compared with $16.6 million, or 79% of total revenues in 2015, while revenues from our enterprise call accounting software were $3.5 million, or 19% of total revenue, compared with $4.3 million or 21% of total revenues in 2015. Revenues from licenses were $3.9 million, or 21.7% of total revenues, compared with $3.9 million, or 18.8% of total revenues in 2015, while revenues from maintenance and additional services were $14.2 million, or 78.3%, compared with $17.0 million or 81.2% of total revenues in 2015. The MIND capability to deliver enhancements timely, in as short as a few weeks for small projects and a few months for larger projects, allows our customers to compete and adapt to changing market conditions. Similar to all other quarters, our customers strengthened their long-lasting relationships with us with multiple follow-on orders. 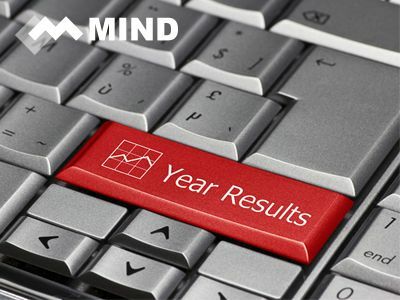 During the fourth quarter of 2016 MIND was awarded the first contract to upgrade a customer’s existing MIND solution to our new version of MINDBill, which will be released in Q2 2017. MIND’s latest version offers enhanced capabilities and a brand new Point-of-Sale module, with improved user experience. Similar to previous versions, this new solution supports prepaid and postpaid subscribers from a single platform, includes real-time monetization and subscriber management that enables service providers to support new business models, monetize next generation services, and create an omni-channel customer experience. A second award is a two-year extension of a managed services agreement with an existing customer of nine years, confirming once again their belief in MIND’s capabilities to improve their competitiveness and to support their business goals. Since July 2003, when we first adopted a dividend policy, according to which we declare, subject to specific Board approval and applicable law, a dividend distribution once per year, we have distributed 13 annual dividends and one special dividend. We continue to believe that our annual dividends enhance shareholders value and we plan to continue with annual distributions. Taking into consideration the longstanding positive cash flow, the current and foreseeable needs and the remaining cash after the distribution, our Board decided on a distribution based on available retained earnings and declared on February 23, 2017 a gross dividend of $6.16 million, or $0.32 per share. The record date for the dividend will be March 9, 2017 and the payment date will be March 23, 2017. Tax will be withheld at a rate of 25%. As carriers started to adopt cloud-based platforms, we increased our investment in extending our offering for SaaS and cloud-based solutions. Our products are already available for deployment on cloud as well as on premise and we aim towards a ‘one click deployment’ for cloud and virtualization technologies in order to increase operational efficiency. Our ongoing investment in maintaining a state-of-the-art technology, adding new modules and supporting new platforms is now more focused on cloud technologies and platforms.